Shopping the easyfundraising way with Brown Bag Clothing, could not be easier. Follow the instructions below, and create an account today to start supporting a cause or charity of your choice. 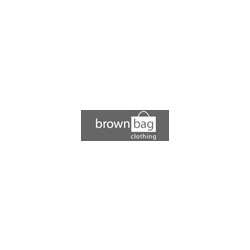 Brown Bag has one aim - to get you the latest designer mens and ladies fashion at the best prices. Check the site out and see if you can find the latest gear cheaper than this. They use their years of experience to scour the fashion houses of Milan so you get each season's look for a fraction of the price.